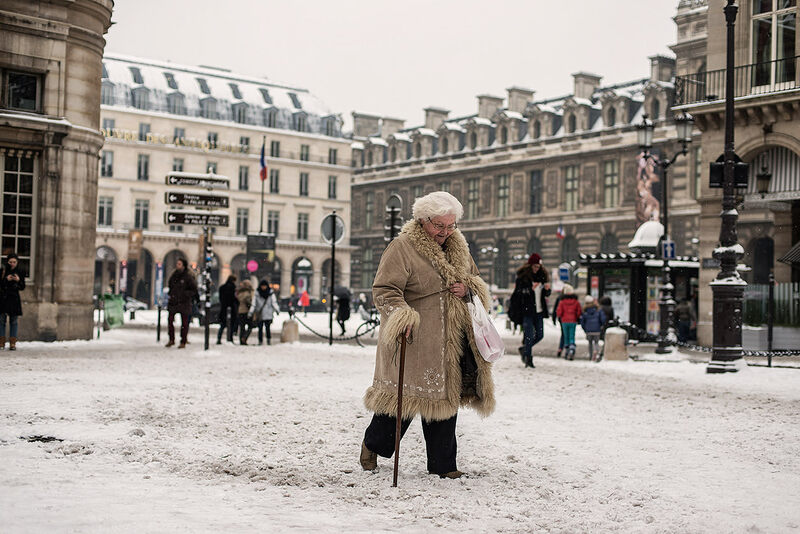 In Paris, an elderly woman is walking towards the metro on Place Colette. A snowstorm hit the city of Paris on 18, 19 and 20 January 2013. Colette Square, a woman is walking in the snow protecting herself from the cold with his big coat. Une tempête de neige s’est abattue sur la ville de Paris les 18, 19 et 20 janvier 2013. 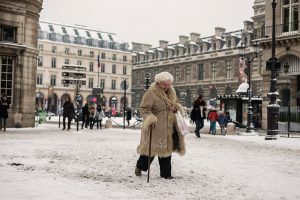 Place Colette, une femme marche dans la neige se protégeant du froid avec son épais manteau.